Discussion in 'Action & Adventure Games' started by T_Riddler_, Jun 14, 2016. Developer insomniac games of ratchet & clank is bringing spider-man to PS4. This is a more seasoned Peter Parker who’s more masterful at fighting big crime in New York City. At the same time, he’s struggling to balance his absurdly chaotic personal life and career. All while nine million New Yorkers depend on him for their safety… no pressure indeed. Looking forward to this game for definite. A bit skeptical of the QTE, seems to be far too much already but let's hope it works for it. I thoroughly enjoyed the Arkham games so this will nicely fill the void that they left. you've all have been waiting for it for a long time – we’ve got e-mails, phone calls, tweets, Instagram posts, and impassioned pleases. 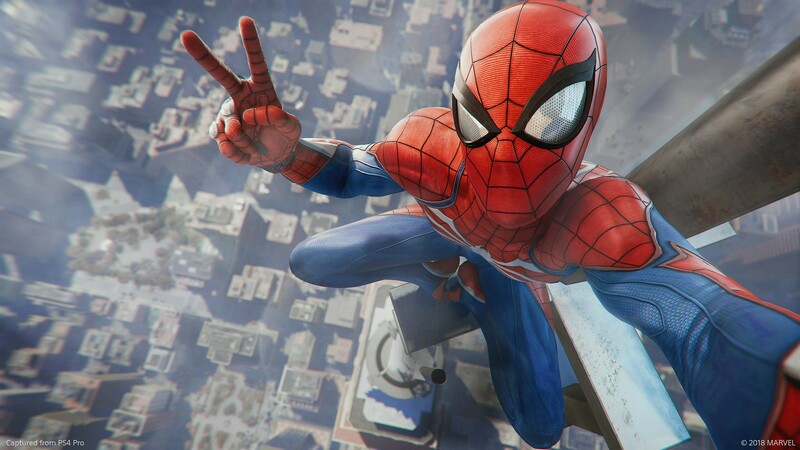 You want to know when Marvel’s Spider-Man will finally be in your hands. 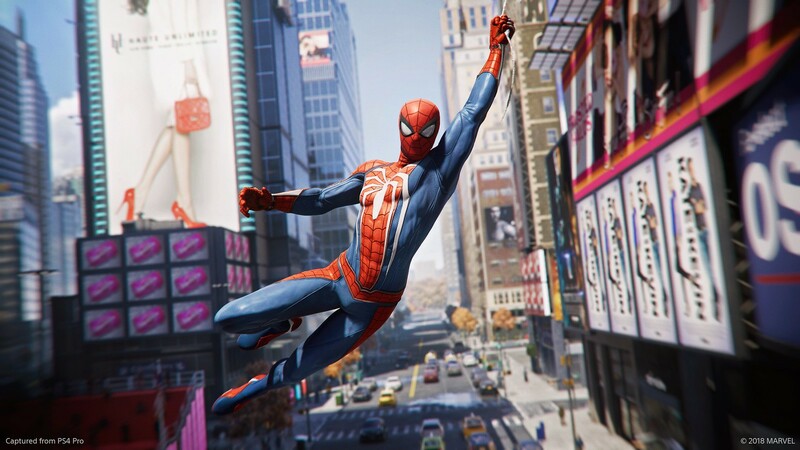 Everyone here at Insomniac Games is thrilled to announce that Marvel’s Spider-Man will launch on Friday, 7th September 2018 exclusively on PlayStation 4 consoles. It’s been an incredible experience for us to spend the last few years working on this game. From getting to create our own unique universe and story for our favourite Super Hero, to working with our talented collaborators at PlayStation and Marvel Games, to developing relationships with the Spider-Man and Marvel fan communities (#SpideySquad represent! ), it’s been an amazing journey thus far. Along with the release date, we get to show you the final box art for Marvel’s Spider-Man! Insomniac has a history of excellent game covers, from Ratchet & Clank Future: A Crack in Time to the bold Olly Moss Resistance 3 cover. We went with a pure red background and a striking image of the web-slinger. Take a look. Our more experienced Spidey in his brand new Advanced Suit can be seen confidently web-swinging against a bold red backdrop. To juxtapose the unique look of our Spider-Man, his pose takes inspiration from over 50 years of fan-favourite Spider-Man comic book art and artistry. Astute fans of the wall-crawler will see nods to the work of J. Scott Campbell, Mark Bagley, John Romita Sr., John Romita Jr., Joe Quesada and (of course) Steve Ditko, as well as many other iconic Spider-Man artists. You’ll see this cover adorning the standard edition of Marvel’s Spider-Man when it is available at retail and digitally. While many of you have been asking us to show the cover for the game, many more have wondered: will there be digital deluxe and collector’s editions of the game? You betcha, true believers – we’ve got both. The Digital Deluxe edition of the game will include a copy of the game as well as new story chapters with our post-launch DLC series – The City That Never Sleeps. 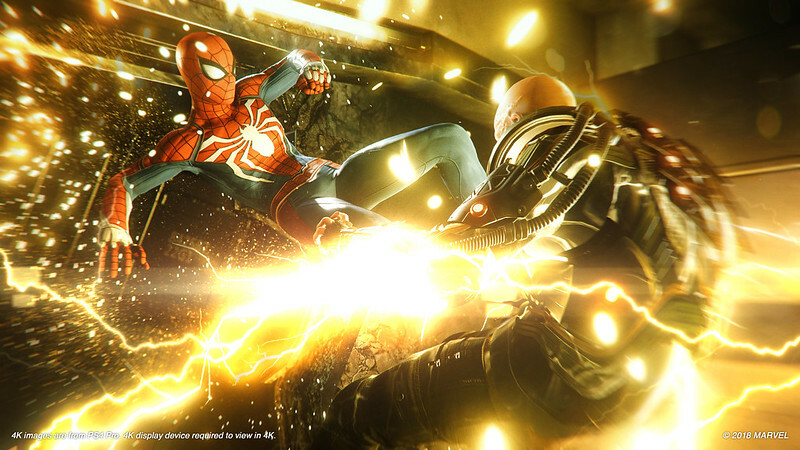 That’s right, we’ll be supporting the game post-launch and you’ll be getting three new chapters each with new missions, new villains and characters, and additional suits for Spider-Man. More details on that a bit later down the road. 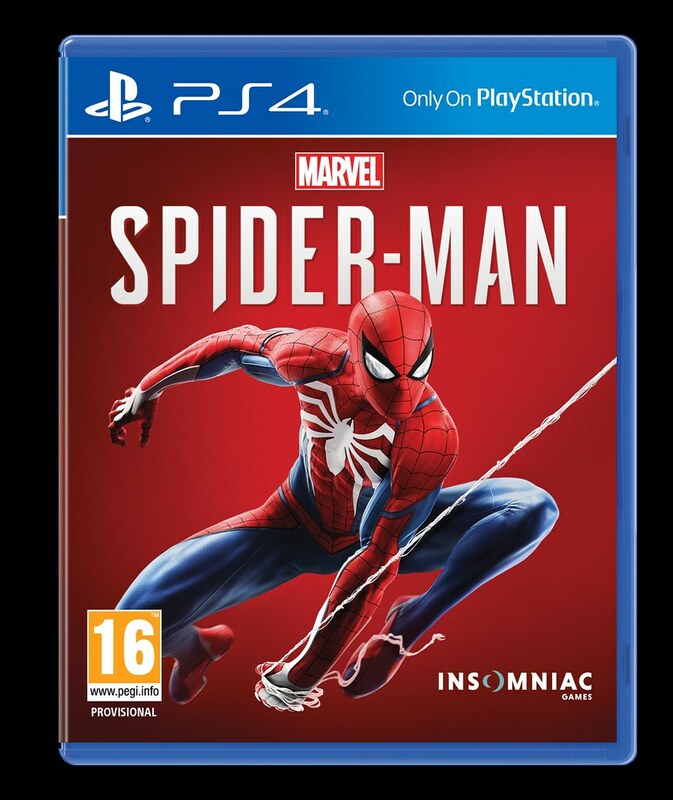 Of course, for those collectors out there who want an incredible Spider-Man collectible alongside Marvel’s Spider-Man, we have just the edition for you. 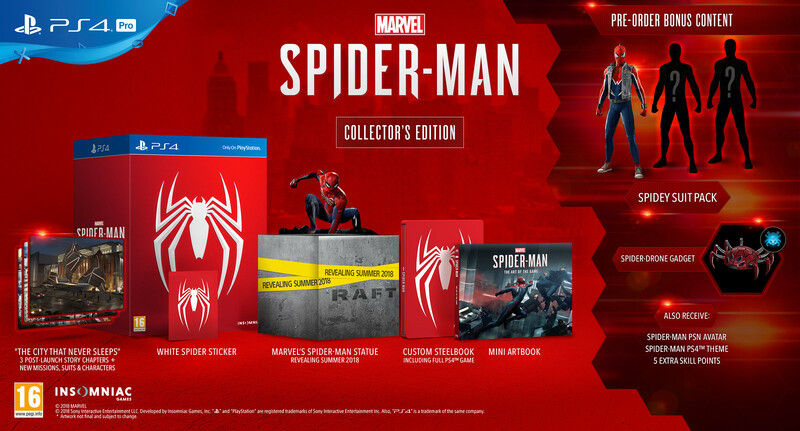 The Collector’s Edition includes all of the digital content from the digital deluxe edition, as well as a Steelbook case featuring the iconic white spider, Mini Artbook from Titan Books, and an awesome Marvel’s Spider-Man statue by Gentle Giant. Pay extra special attention to the statue though and you’ll notice something is obviously missing. We haven’t revealed the entire statue for the Collector’s Edition, just Spider-Man perched on top of something. What could that be? It’s too spoilery to show you now, but stay tuned! That said – no matter where you buy it, or which edition you get, you have a chance to grab these pre-order items. Whether it’s a Spidey-Suit Pack featuring Spider-Punk, as well as a couple suits we will reveal this summer, the Spider-Drone gadget, a PSN Avatar, an original PS4 theme designed by renowned comic book artist Adi Granov, or just some extra skill points to unlock faster web-swinging sooner – our pre-order bonus is the total package. Check out this video of Spider-Punk and its suit ability in action below. That’s a lot of info – but I realise some of you have been dying to get your hands on new information about the game itself as we haven’t said much since Paris Games Week and PSX last year. That’s all for now – we can’t wait for you to get your hands on the game on 7th September 2018 exclusively on PlayStation 4 consoles. I'm intrigued by this, it looks good, but given how hopeless I am at Batman the combat worries me. I got this on Friday. It's such a cool game, I love it! Combat IS easier than Batman - I can actually do it, lol. 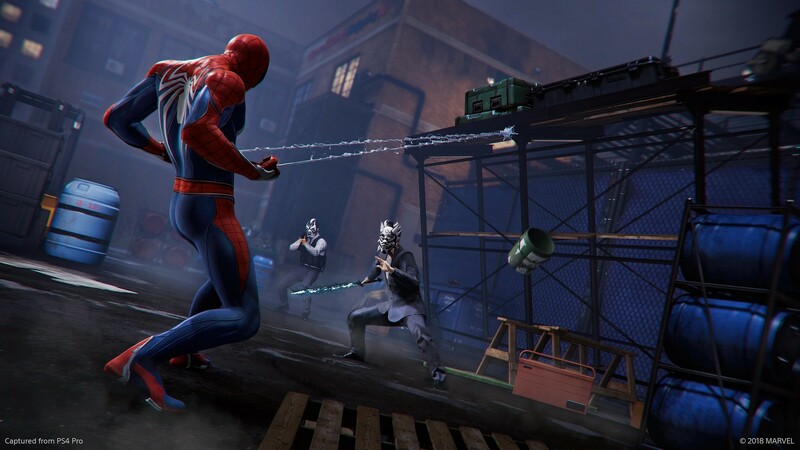 The combat looks great, flinging objects at thugs, beating them up and covering them in webs however the thugs seem to have been lifted directly from Batman:AA with the same behaviour, voice and phrases. It's loads of fun I'm liking it much more than I thought it would. I've been playing about 5 hours and I think I'm 14% the way through, so I'll probably pick up the DLC at some point, assuming I'm still a fan of the game by the end. Platinum achieved! Brilliant game. The cinematics are brilliant and look great on the Pro and the 4K TV. I will be gaming all night ! Wrong game. You'd be better off with Shattered Dimensions if you wanted a Spiderman game on PC. I bought and completed the DLC as well, didn’t feel like an add-on, worth the £12 I paid.